SAMe boosts brain cell methylation and facilitates youthful DNA enzymatic actions. These enzymatic actions are required for the healthy conversion of neurotransmitters such as norepinephrine, dopamine, and serotonin and may account for SAMe's mood-elevating properties. SAMe also helps maintain acetylcholine levels which are necessary for cognitive function. In order to perform its detoxification role, the liver continually performs large numbers of complex enzymatic reactions. 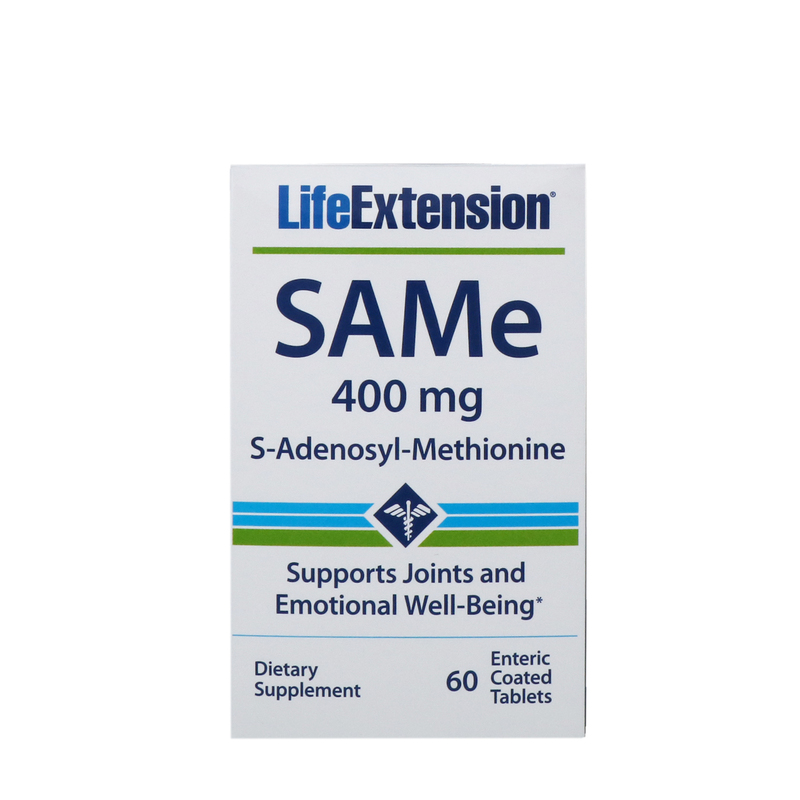 SAMe facilities healthy methylation enzymatic processes and boost hepatic levels of glutathione, a critical antioxidant. SAMe may help to ease inflammation and can support healthy joint mobility and function without side effects. 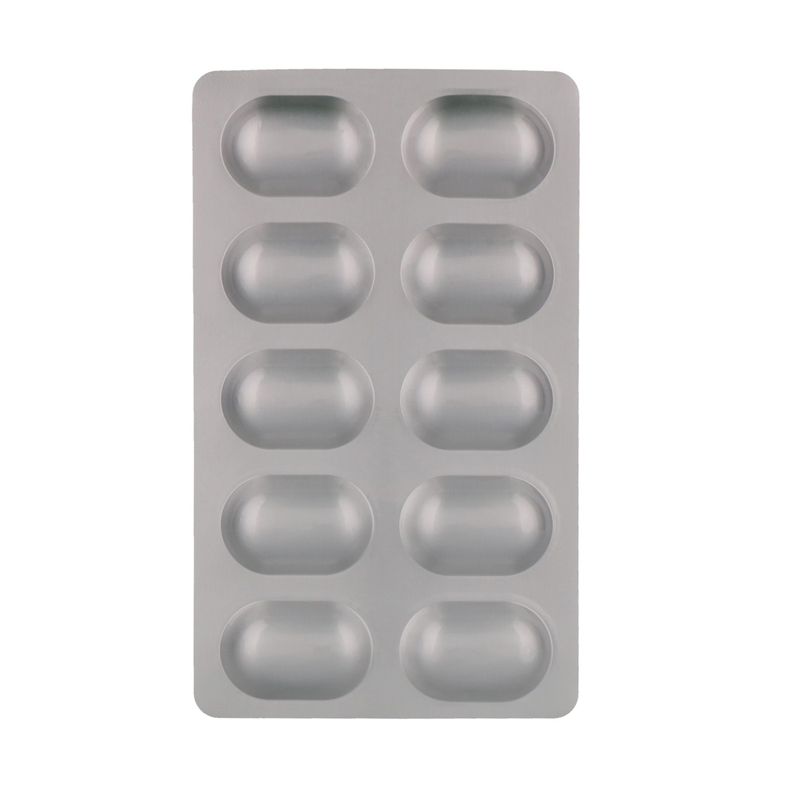 Take one (1) tablet one to three times daily in divided doses, preferably on an empty stomach, or as recommended by a healthcare practitioner. 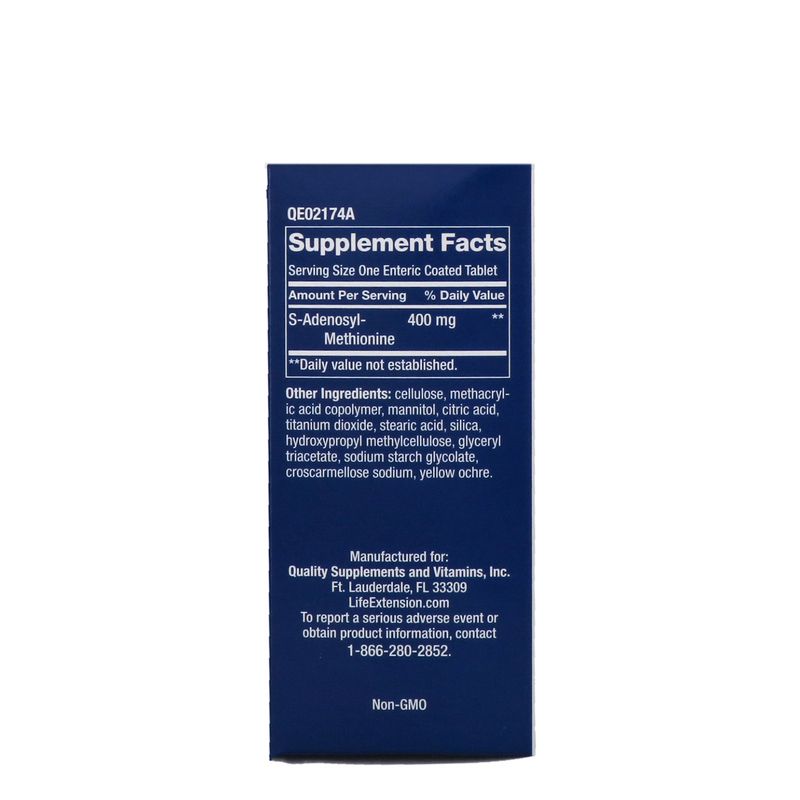 Take with co-factors vitamins B12, B6, and folic acid. Cellulose, methacrylic acid copolymer, mannitol, citric acid, titanium dioxide, stearic acid, silica, hydroxypropyl methylcelluose, glyceryl triacetate, sodium starch glycolate, croscarmellose sodium, yellow ochre. SAMe should not be taken by those diagnosed with bipolar disorder. Store in a cool, dry place.